Explanation: The atmosphere is held on the earth by the gravitational pull of the earth. A column of air exerts weight in terms of pressure on the surface of the earth. The weight of the column of air at a given place and time is called air pressure or atmospheric pressure. Atmospheric pressure is measured by an instrument called barometer. Nowadays, Fortin’s barometer and Aneroid barometer I are commonly used for measuring air pressure. 1. When a mass of ice from the high mountainous regions starts moving down into the pre-existing valleys, it is called a valley glacier. 2. Valley glaciers are quite different from the mountain glaciers. 3. The longest glacier in India is the Siachen Glacier in Karakoram Range which is 72 kilometres long. Explanation: When a mass of ice from the high mountainous regions starts moving down into the pre-existing valleys, it is called a valley glacier or a mountain glacier. The shape of the valley glaciers depends on the valley it occupies. Where the valley is broad, the glacier spreads outwards and where the valley is narrow, the glacier contracts. The longest glacier in India is the Siachen Glacier in Karakoram Range which is 72 kilometres long. Gangotri Glacier in Uttarakhand is 25.5 kilometres long. There are many smaller glaciers in other parts of the Himalaya. Their length varies from 5 to 10 kilometres. The two important rivers of India, the Ganga and Yamuna, originate from Gangotri and Yamunotri glaciers respectively. 3. Which of the following term regarding intrusive volcanic landforms are correctly matched? Sill- lava solidifies almost perpendicular to the ground. Phacolith-found at the base of syncline of top of anticline. Laccoliths-when lava settles in a saucer shape while moving on a horizontal weak plane. Explanation: Laccoliths are large dome-shaped intrusive bodies with a level base and connected by a pipe-like conduit from below. Lopoliths are formed when the lava moves upwards, a portion of the may tend to move in a horizontal direction wherever it finds a weak plane and develops into a saucer shape concave to the sky body. Phocoliths are wavy mass of intrusive rocks found at the base of synclines or at the top of anticline in folded igneous country. The near horizontal bodies of the intrusive igneous rocks are called sill or sheet, depending on the thickness of the material. Dykes are formed when the lava makes its way through cracks and solidifies almost perpendicular to the ground. 4. Which one of the following processes is related to the formation or modification of the present atmosphere? Explanation: The present composition of earth’s atmosphere is chiefly contributed by nitrogen and oxygen. The first stage is marked by the loss of primordial atmosphere. In the second stage, the hot interior of the earth contributed to the evolution of the atmosphere. Finally, the composition of the atmosphere was modified by the living world through the process of photosynthesis. The early atmosphere, with hydrogen and helium, is supposed to have been stripped off as a result of the solar winds. During the cooling of the earth, gases and water vapour were released from the interior solid earth. The process through which the gases were outpoured from the interior is called degassing. Continuous volcanic eruptions contributed water vapour and gases to the atmosphere. I. This belt extends from gulf of Khambhat in Gujarat to the Aravalli range in Rajasthan. II. Petroleum and natural gas are principal resources of this belt. III. The region is known for reserves and production of several non-ferrous metals particularly copper, silver, lead, and Zinc. Explanation: This belt extends from gulf of Khambhat in Gujarat to the Aravalli range in Rajasthan. Petroleum and natural gas are principal resources of this belt. Deposits of other minerals are small and scattered. However, it is known for reserves and production of several non-ferrous metals particularly copper, silver, lead, and Zinc. I. The Great Bath is finely built brick structure measures 12 m by 7m, and is nearly 3m deep from the surrounding pavement. II. The floor of the bath was constructed of sawn bricks set on edge in gypsum mortar, with a layer of bitumen sandwiched between the inner and outer brick layers. III. Water was evidently supplied by a large well in an adjacent room, and an outlet from one corner of the bath led to a high corbelled drain disgorging on the west side of the mound. Explanation: The floor of the bath was constructed of sawn bricks set on edge in gypsum mortar, with a layer of bitumen sandwiched between the inner and outer brick layers. Water was evidently supplied by a large well in an adjacent room, and an outlet from one corner of the bath led to a high corbelled drain disgorging on the west side of the mound. Surrounding the bath were porticos and sets of rooms, while a stairway led to an upper storey. It has been generally agreed that this bath was linked with some sort of ritual bathing which has been very common in Indian life right from the ancient times till today. 7. Which of the following rivers flows between the mountain ranges of Vindhyas and Satpura? Explanation: Peninsular India can be studied under two distinct sections. The mountain ranges of the Vindhyas and Satpura run parallel to each other from east to west. In between these two, flows the river Narmada going towards the Arabian Sea. I. The early Vedic tradition, compiled between c.1500 and 1000 BCE. II. The Rigveda consists of hymns in praise of a variety of deities, especially Agni, Indra and Soma. III. Many of the hymns were chanted when sacrifices were performed, where people prayed for cattle, sons, good health, long life, etc. Explanation: There were several pre-existing traditions of thought, religious belief and practice, including the early Vedic tradition, known from the Rigveda, compiled between c.1500 and 1000 BCE. The Rigveda consists of hymns in praise of a variety of deities, especially Agni, Indra and Soma. Many of these hymns were chanted when sacrifices were performed, where people prayed for cattle, sons, good health, long life, etc. 9. Which the following religions of the Vedic period did not condemn the varna system? Explanation: Among the Vedic religions, Jainism recognised the existence of god but they placed them lower than the jina. However, Jainism did not condemn the existing Varna system of the period. Mahavira explains that a person is born in a high or in a lower varna in consequence of the sins or the virtues acquired by him in the previous birth Mahavira looks for human values even in a chandala. In his opinion through pure and meritorious life members of the lower castes can attain liberation. Jainism mainly aims at the attainment of freedom from worldly bonds. It is not necessary to use any ritual for acquiring such liberation. It can be obtained through full knowledge and action. Full knowledge, action and liberation are considered to be the three gems or ratnas of Jainism. Explanation: It is said that there was a great famine that took place in Magadha 200 years after the death of Mahavira. The famine lasted for 12 years, and so in order to protect themselves many a Jaina went to the southern states under the leadership of Bhadrabahu, but the rest of them stayed back in Magadha under the leadership of Sthalabahu. The immigrant Jainas spread Jainism in south India. At the end of the famine they came back to Magadha, where they developed differences with the local Jainas. Those who came back from the south claimed that even during the famine they strictly observed the religious rules, on the other hand, they alleged, the Jaina ascetics living in Magadha had violated those rules and become lax. In order to sort out these differences and to compile the main teachings of Jainism a council was convened in Pataliputra, modern Patna, but the, southern Jainas boycotted the council and refused to accept its decisions. , From now onwards the southerners began to be called Digambaras, and the Magadhans Svetambaras. c. Both the states shared by in such proportion as determined by the president. Explanation: The Governor should not be a member of either House of Parliament or a House of the state legislature. If any such person is appointed as governor, he is deemed to have vacated his seat in that House on the date on which he enters upon his office as the governor. He is entitled to such emoluments, allowances and privileges as may be determined by Parliament. When the same person is appointed as the governor of two or more states, the emoluments and allowances payable to him are shared by the states in such proportion as determined by the president. His emoluments and allowances cannot be diminished during his term of office. I. The chairman or a member of the UPSC can be removed from office by the president only in the manner and on the grounds mentioned in the Constitution. Therefore, they enjoy security of tenure. II. The chairman of UPSC (on ceasing to hold office) is not eligible for further employment in the Government of India or a state. III. The entire expenses including the salaries, allowances and pensions of the chairman and members of the UPSC are charged on the Consolidated Fund of India. Thus, they are not subject to vote of Parliament. • The chairman or a member of the UPSC can be removed from office by the president only in the manner and on the grounds mentioned in the Constitution. Therefore, they enjoy security of tenure. • The conditions of service of the chairman or a member, though determined by the president, cannot be varied to his disadvantage after his appointment. 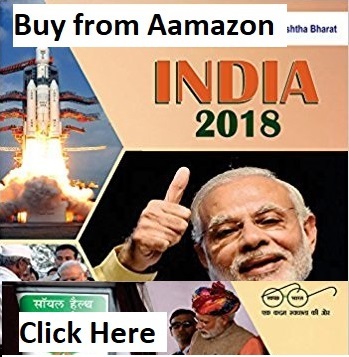 • The entire expenses including the salaries, allowances and pensions of the chairman and members of the UPSC are charged on the Consolidated Fund of India. Thus, they are not subject to vote of Parliament. • The chairman of UPSC (on ceasing to hold office) is not eligible for further employment in the Government of India or a state. 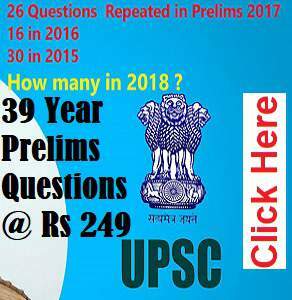 • A member of UPSC (on ceasing to hold office) is eligible for appointment as the chairman of UPSC or a State Public Service Commission (SPSC), but not for any other employment in the Government of India or a state. • The chairman or a member or UPSC is (after having completed his first term) not eligible for reappointment to that office (i.e., not eligible for second term). I. Under the Constitution, the Parliament of India consists of three parts viz, the President, the Council of States and the House of the People. II. In 1954, the Hindi names ‘Rajya Sabha’ and ‘Lok Sabha’ were adopted by the Council of States and the House of People respectively. III. The Rajya Sabha is the Upper House (Second Chamber or House of Elders) and the Lok Sabha is the Lower House (First Chamber or Popular House). Explanation: Under the Constitution, the Parliament of India consists of three parts viz, the President, the Council of States and the House of the People. In 1954, the Hindi names ‘Rajya Sabha’ and ‘Lok Sabha’ were adopted by the Council of States and the House of People respectively. The Rajya Sabha is the Upper House (Second Chamber or House of Elders) and the Lok Sabha is the Lower House (First Chamber or Popular House). The former represents the states and union territories of the Indian Union, while the latter represents the people of India as a whole. I. The representatives of states in the Rajya Sabha are elected by the elected members of state legislative assemblies. II. The election of representatives of states is held in accordance with the system of proportional representation by means of the single transferable vote. III. The seats are allotted to the states in the Rajya Sabha on the basis of population. Explanation: The representatives of states in the Rajya Sabha are elected by the elected members of state legislative assemblies. The election is held in accordance with the system of proportional representation by means of the single transferable vote. The seats are allotted to the states in the Rajya Sabha on the basis of population. Hence, the number of representatives varies from state to state. For example, Uttar Pradesh has 31 members while Tripura has 1 member only. However, in USA, all states are given equal representation in the Senate irrespective of their population. USA has 50 states and the Senate has 100 members—2 from each state. I. Adequate safeguards shall be provided for minorities, backward and tribal areas, and depressed and other backward classes. II. All power and authority of the Sovereign Independent India, its constituent parts and organs of government, are derived from the people. 16. Who among the following persons has proposed the existence of atoms first? Explanation: The English scientist John Dalton was by no means the first person to propose the existence of atoms, as we have seen in the previous section, such ideas date back to classical times. Dalton’s major contribution was to arrange those ideas in proper order and give evidence for the existence of atoms. He showed that the mass relationship expressed by Lavoisier and Proust (in the form of law of conservation of mass and law of constant proportions) could be interpreted most suitably by postulating the existence of atoms of the various elements. Explanation: When dealing with range of concentrations (such as these of H+ (aq) ions) that spans many powers of ten, it is convenient to represent them on a more compressed logarithmic scale. By convention, we use the pH scale for denoting the concentration of hydrogen ions. The pH notation was devised by the Danish biochemist Soren Sorensen in 1909. The term pH means “power of hydrogen”. 18. Consider the following statements. 1. ‘MySecurity.in’ is a web portal that will be a platform for innovation in the field of security related web applications. 2. It will be launched by Ministry of Home affairs. 3. Any individual, company, student, NGO etc can develop and deploy on this portal such security applications which may be useful to the people. (d) 1, 2 and 3. Explanation: Union Home Minister Shri Rajnath Singh has decided to launch a web portal ‘MySecurity.in’ that will be a platform for innovation in the field of security related web applications. Any individual, company, student, NGO etc can develop and deploy on this portal such security applications which may be useful to the people. It will enable the general public to get access to a large number of security related applications. The main objective of launching the web portal ‘MySecurity.in’ is to promote innovation in developing security related applications as well as offer to the people safe and trusted applications for their security needs. People will have options to choose the applications best suited for their requirements. Application developers, meeting the basic screening criteria, will be allowed hardware and middleware resources in a cloud based environment to deploy their applications. An expert group constituted by MHA will also evaluate the application on parameters like usefulness, innovation, public acceptance, technology used, maintenance, updation, feedback mechanism etc. I. The temperature surrounding the earth has been rising during the recent past, is due to the ‘green house effect’. II. A green house is a glass chamber in which plants are grown to provide them warmth by trapping sun light. III. The phenomenon of heat build up inside a glass chamber from the absorption of solar radiation is called green house effect. Explanation: The temperature surrounding the earth has been rising during the recent past, is due to the ‘green house effect’. A green house is a glass chamber in which plants are grown to provide them warmth by trapping sun light. Sunlight (a form of energy) passes through the glass and it gets absorbed inside releasing heat radiations unlike sunlight, heat radiation cannot escape through glass the heat generated there from, cannot escape out of the glass chamber. Thus, even on a cold winter day, the inside of a green house can become quite warm to support plant growth. The phenomenon of heat build up inside a glass chamber from the absorption of solar radiation is called green house effect. 20. The Environment Protection Act of 1986 (EPA) came into force soon after which of the following disaster in India? Explanation: In India, the constitutional provisions are backed by a number of legislations – Acts and rules. Most of our environmental legislations are Acts of the Parliament or the State Legislatures. These Acts generally delegate powers to regulatory agencies, to make rules for the purpose of their implementation. The Environment Protection Act of 1986 (EPA) came into force soon after the Bhopal Gas Tragedy and is considered umbrella legislation as it fills many lacunae in the existing legislations. Thereafter, a large number of environmental legislations have been passed to deal with specific environmental problems. For example, in the recent past, the use of CNG for public transport vehicles has been made mandatory in Delhi. This has reduced air pollution in Delhi. 21. Which of the following methods can be adopted in sustainable agriculture system? Explanation: The practices of sustainable production involve a variety of approaches. At the planning level, one must take into account the local geography i.e. topography, soil condition and nature, local climate, pests, local inputs and the farmer’s goals. • Selection of improved varieties to suit the need. • Soil management by a proper method of tillage. Many farmers in India and other developing countries follow the traditional practice of mixed cropping or diverse cropping and crop rotation. 1. The Ramsar Convention is an international treaty for the conservation and sustainable utilization of mangroves. 2. World Wetlands Day is observed on 2 February. Which of the statements given above is/are are correct? Explanation: The Ramsar Convention is an international treaty for the conservation and sustainable utilization of wetlands. It is named after the city of Ramsar in Iran, where the Convention was signed in 1971. World Wetlands Day is observed on 2 February. World Wetland Day marks the date of the signing of the Convention on Wetlands on 2 February 1971. I. Soil erosion by water occurs by means of raindrops, waves or ice. II. Soil erosion by water is termed differently according to the intensity and nature of erosion. III. Soil erosion by wind is more common in areas where the natural vegetation has been destroyed. Explanation: Soil erosion is classified on the basis of the physical agent responsible for erosion. The various types of soil erosion are consequently referred to as: (a) Water erosion (b) Wind erosion. Running water is one of the main agents, which carries away soil particles. Soil erosion by water occurs by means of raindrops, waves or ice. Soil erosion by water is termed differently according to the intensity and nature of erosion. Soil erosion by wind is more common in areas where the natural vegetation has been destroyed. Such conditions occur mainly in arid and dry areas along the sandy shores of oceans, lakes and rivers. I. The eastern Himalayan hot spot extends to the north – eastern India and Bhutan. II. The temperate forests are found at an altitude of 1780 to 3500 m in the eastern Himalayan hot spot. III. The Western Ghat region lies parallel to the western coast of Indian peninsula for almost 1600 km, in Maharashtra, Karnataka, Tamil Nadu and Kerala. Explanation: The eastern Himalayan hot spot extends to the north – eastern India and Bhutan. The temperate forests are found at an altitude of 1780 to 3500 m. Many deep and semi-isolated valleys are exceptionally rich in endemic plant species. The Western Ghat region lies parallel to the western coast of Indian peninsula for almost 1600 km, in Maharashtra, Karnataka, Tamil Nadu and Kerala. These forests at low elevation (500 m above mean sea level) are mostly evergreen, while those at 500- 1500 m height are generally semi-evergreen forests. 25. Which of the following chemicals cause water pollution? Explanation: Metals like lead, zinc, arsenic, copper, mercury and cadmium in industrial waste waters adversely affect humans and other animals.Arsenic polluted water leads to accumulation of arsenic in the body parts like blood, nails and hairs causing skin lesions, rough skin, dry and thickening of skin and ultimately skin cancer. 1) India constitutes more than 20 percent of the world’s adolescent population and accounts for the highest number of child marriages in South Asia given its size and population. 2) In the current trend, 27 percent of girls, or nearly 1.5 million girls, get married before they turn 18 in India which is a shrp decline from 47 percent a decade ago. Explanation: The proportion of girls getting married in India has nearly halved in a decade, the United Nations children’s agency UNICEF said on Tuesday, which has contributed significantly to a global decline in child marriage. UNICEF said 25 million child marriages were prevented worldwide in the last decade, with the largest reduction seen in South Asia - where India was at the forefront. “India constitutes more than 20 percent of the world’s adolescent population and accounts for the highest number of child marriages in South Asia given its size and population,” said Javier Aguilar, UNICEF’s chief of child protection. “In the current trend, 27 percent of girls, or nearly 1.5 million girls, get married before they turn 18 in India. This is a sharp decline from 47 percent a decade ago,” he told the Thomson Reuters Foundation. 27. Recently, the Union Cabinet gave its approval for the creation of National Urban Housing Fund. Against this backdrop, consider the following statements related to the fund. 1. The fund will be managed by the Building Materials and Technology Promotion Council. 2. The fund will be created at an estimated cost of Rs 60,000 crores. Explanation: On 20 February 2018, the Union Cabinet gave its approval for the creation of National Urban Housing Fund (NUHF). The decision was taken at a meeting of the Cabinet, which was chaired by Prime Minister Narendra Modi. The Rs.60,000 crores fund will be managed by the Building Materials and Technology Promotion Council (BMTPC). The BMTPC is an autonomous body under the Union Ministry of Housing and Urban Affairs. It was registered under the Societies Registration Act, 1860. NUHF will facilitate raising the requisite funds in next four years so that flow of Central Assistance under different verticals of the Pradhan Mantri Awas Yojana (Urban) - Beneficiary Linked Construction (BLC), Affordable Housing in Partnership (AHP), In-Situ Slum Redevelopment (ISSR) and Credit Linked Subsidy Scheme (CLSS) - are sustained. The Union Government has so far sanctioned 39.4 lakh houses under the Pradhan Mantri Awas Yojana (Urban). The target is to cater to the demand of housing shortage of nearly 1.2 crore and make an available housing to all by 2022 when India celebrates its 75th anniversary of independence. 28. Consider the following statements related to the Botanical Survey of India that was in the news recently. 1) It was established by the Union Government in 1950. 2) It works under the Department of Science and Technology. Explanation: In February 2018, the Botanical Survey of India (BSI) and the Natural History Museum (NHM) of the United Kingdom signed a Memorandum of Understanding (MoU) for cooperation in the field of genetic and taxonomic studies in India. The MoU will pave the way for BSI staff to work in the NHM and vice-versa. They will share fairly and equitably the benefits that may arise from the collection, study and conservation of the plant materials such as seeds, herbarium specimens and tissue samples and exchange associated data and images. NHM will help BSI in capacity building in areas of systematic botany and long-term conservation of plant genetic resources in India. • The Botanical Survey of India (BSI) was established in 1890 with the objectives of exploring the plant resources of the country and identifying plant species with economic virtue. • In 1954, it was reorganised with the objectives of undertaking intensive floristic surveys and collecting accurate and detailed information on the occurrence, distribution, ecology and economic utility of plants in the country. • It works under the Union Ministry of Environment, Forest and Climate Change. 29. Consider the following statements related to the Stree Swabhiman Initiative that was launched recently. 1) It was launched by the Union Ministry of Electronics and Information Technology. 2) It seeks to impart computer literacy to working women. Explanation: The Union Information Technology and Electronics Ministry on 27 January 2018 launched ‘Stree Swabhiman Initiative’ in partnership with Common Service Centres (CSCs). • Under this initiative, CSCs will provide access to affordable, reliable and modern (eco-friendly) sanitary napkins (menstrual pads) to adolescent girls and women in rural areas. • Semi-automatic and manual sanitary napkin manufacturing units will be set up in CSCs for producing affordable and eco-friendly sanitary napkins. • These micro manufacturing units will be operated by women entrepreneurs and each production unit will generate employment for 8-10 women. • Compared to those that are available in the market, the new sanitary pads will be more eco-friendly and cheaper ones. 1. Lead-contaminated water is a serious environmental concern that can be removed by a moss (Funaria hygrometrica) and the process is called as phytoremediation. 2. Earlier, for compounding the problem, the typical way to remove lead or other heavy metals from water requires fossil fuels and a tremendous amount of energy. Explanation: Scientists have identified a type of moss that can efficiently absorb a large amount of lead, providing a green alternative for decontaminating polluted water and soil. Lead-contaminated water is a serious environmental concern that has recently proved to be disastrous when left untreated. Compounding the problem, the typical way to remove lead or other heavy metals from water requires fossil fuels and a tremendous amount of energy. As an alternative to these typical processes, phytoremediation is a method that uses photosynthesising organisms to clean up soil or water contamination. Researchers from RIKEN Centre for Sustainable Resource Science (CSRS) in Japan began their search for a phytoremediation-based removal method by looking at a moss (Funaria hygrometrica) that is known to grow well in sites contaminated with metals like copper, zinc, and lead. 31. Which of the following is/are a component of organised Indian money market? (vii) Repo and Reverse Repo Markets. 32. Bargadar are persons lawfully cultivating any land belonging to another person. The Bargadar system was part of Land Reform Act of which of the following states of India? Explanation: The West Bengal Land Reforms Act, 1955 provides certain rights to Bargadars or land tenants. Bargadars are persons lawfully cultivating any land belonging to another person (who is not a family member). Under the Act, produce from the farm is divided between the tenant and owner in a 50:50 proportion if the cattle, manure and seeds are provided by the landowner, and 75:25 in all other cases. Illegal eviction of tenants is a cognizable offence punishable with imprisonment or fine, under the Act. However, it does not provide any ownership rights to the tenant. 33. Which of the following is true regarding the benefits of GST for both the level of government i.e. the Central Government and the State Governments? • Simple and easy to administer: Multiple indirect taxes at the Central and State levels are being replaced by GST. Backed with a robust end-to-end IT system, GST would be simpler and easier to administer than all other indirect taxes of the Centre and State levied so far. • Better controls on leakage: GST will result in better tax compliance due to a robust IT infrastructure. Due to the seamless transfer of input tax credit from one stage to another in the chain of value addition, there is an in-built mechanism in the design of GST that would incentivize tax compliance by traders. • Higher revenue efficiency: GST is expected to decrease the cost of collection of tax revenues of the Government, and will therefore, lead to higher revenue efficiency. Explanation: IPR are covered by TRIPS agreement of WTO. The TRIPS Agreement, which came into effect on 1 January 1995, is to date the most comprehensive multilateral agreement on intellectual property. Explanation: An Inquiry into the Nature and Causes of the Wealth of Nations also known as The Wealth of Nations is the magnum opus of the moral philosopher and Scottish economist Adam Smith which was published 1776. The book Wealth of Nations set a base for the classical economics which dealt with the broad topics of microeconomics like division of labour, productivity, and free markets. 36. Which of the following types of land locally known as reh? a. The land under the settlements, roads, mines and quarries along with barren lands are included in this category. b. The total land area on which crops are grown in a region. c. It is the land in which crops were raised for some period of time but has not been cultivated for the last five years due to certain deficiencies such as alkalinity and salinity in the soils. d. When lands are left unused to regain their lost fertility in a natural way. Explanation: Cultivable Waste is the land in which crops were raised for some period of time but has not been cultivated for the last five years due to certain deficiencies such as alkalinity and salinity in the soils. Such cultivable wastes are locally known as reh, bhur, usar, and khola in the some part of North India. Meghalaya, Himachal Pradesh and Rajasthan have a very high share of cultivable waste land in total land use in respective states. 37. Consider the following statements and choose the statement which is/are correct? 1. The process by which two air masses of different physical characteristics are brought together is frontolysis. 2. The gradual dissipation of the frontal zone is called frontogensis. c. Both 1 and 2. Explanation: The gradual dissipation of the frontal zone is called frontolysis. The process by which two air masses of different physical characteristics are brought together is Frontogensis and it leads to the formation of a temperate cyclone. 38. Which of the following is not the reason to induce as earthquake? a) Reemergence of old fractures in the craton. b) Small plates frequent interaction in Mediterranean Sea region. c) Human induced deep sea mining and nuclear testing. d) All the above can be probable reason to induce quakes. Explanation: Mostly earthquakes are caused due to plate boundary interactions like compressive, divergent and transverse boundary. The release of energy occurs along a fault. A fault is a sharp break in the crustal rocks. Rocks along a fault tend to move in opposite directions. As a result, the blocks get deformed and eventually, they slide past one another abruptly. This causes a release of energy, and the energy wave travel in all directions. Earthquake-like seismic waves can also be caused by explosions underground. These explosions may be set off to break rock while making tunnels for roads, railroads, subways, or mines. The largest underground explosions, from tests of nuclear warheads (bombs), can create seismic waves very much like large earthquakes. 1. These soils are formed under conditions of high temperature and heavy rainfall with alternate wet and dry periods. 2. Residual soils formed by leaching in areas of heavy rain. 3. It is of coarse texture, soft and friable. Explanation: These soils are formed under conditions of high temperature and heavy rainfall with alternate wet and dry periods. Thus its formation takes place strictly under monsoon conditions. Residual soils formed by leaching in areas of heavy rains. Laterite soils are found in elevated areas which receive very high rainfall. 40. Consider the following statements regarding barchans? 41. Who founded a sub-urban township near Vijayanagara called Nagalapuram? Explanation: Krishnadeva Raya is credited with building some fine temples and adding impressive gopurams to many important south Indian temples. He also founded a suburban township near Vijayanagara called Nagalapuram after his mother. Some of the most detailed descriptions of Vijayanagara come from his time or just after. I. Akbar started his day with his appearance at the jharoka of the palace. II. In order to make himself accessible to the people as well as to the ministers, Akbar carefully divided his time. III. Large numbers of people assembled daily to have a glimpse of the ruler, and to present petitions to him if necessary. Explanation: In order to make himself accessible to the people as well as to the ministers, Akbar carefully divided his time. The day started with the emperor’s appearance at the jharoka of the palace. Large numbers of people assembled daily to have a glimpse of the ruler, and to present petitions to him if necessary. I. Initially the company made very high initial demand because if the demand was fixed for all time to come, the Company would never be able to claim a share of increased income from land when prices rose and cultivation expanded. II. The high demand was imposed in the 1790s, a time when the prices of agricultural produce were depressed, making it difficult for the ryots to pay their dues to the zamindar. III. The revenue was invariable, regardless of the harvest, and had to be paid punctually. In fact, according to the Sunset Law, if payment did not come in by sunset of the specified date, the zamindari was liable to be auctioned. Explanation: Company officials felt that a fixed revenue demand would give zamindars a sense of security and, assured of returns on their investment, encourage them to improve their estates. In the early decades after the Permanent Settlement, however, zamindars regularly failed to pay the revenue demand and unpaid balances accumulated. I. The Turkish Sultan or Khalifa must retain control over the Muslim sacred places in the erstwhile Ottoman empire. II. The jazirat-ul-Arab (Arabia, Syria, Iraq, Palestine) must remain under Muslim sovereignty. III. The Khalifa must be left with sufficient territory to enable him to defend the Islamic faith. Explanation: The Khilafat Movement, (1919-1920) was a movement of Indian Muslims, led by Muhammad Ali and Shaukat Ali, that demanded the following: The Turkish Sultan or Khalifa must retain control over the Muslim sacred places in the erstwhile Ottoman empire; the jazirat-ul-Arab (Arabia, Syria, Iraq, Palestine) must remain under Muslim sovereignty; and the Khalifa must be left with sufficient territory to enable him to defend the Islamic faith. The Congress supported the movement and Mahatma Gandhi sought to conjoin it to the Non-cooperation Movement. I. To promote the nationalist creed in the princely states. II. To promote the tradition of wearing dhoti-kurta for all the nationalists. III. To oppose Simon Commission of 1927 which was to report on the working of the Indian constitution established by the Government of India Act of 1919. Explanation: While Mahatma Gandhi’s mass appeal was undoubtedly genuine – and in the context of Indian politics, without precedent – it must also be stressed that his success in broadening the basis of nationalism was based on careful organisation. New branches of the Congress were set up in various parts of India. A series of “Praja Mandals” were established to promote the nationalist creed in the princely states. Gandhiji encouraged the communication of the nationalist message in the mother tongue, rather than in the language of the rulers, English. Thus the provincial committees of the Congress were based on linguistic regions, rather than on the artificial boundaries of British India. 46. In which of the following cases, the Supreme Court held that the Indian Constitution is founded on the bedrock of the balance between the Fundamental Rights and the Directive Principles? In the Minerva Mills case (1980), the Supreme Court also held that ‘the Indian Constitution is founded on the bedrock of the balance between the Fundamental Rights and the Directive Principles. They together constitute the core of commitment to social revolution. They are like two wheels of a chariot, one no less than the other. To give absolute primacy to one over the other is to disturb the harmony of the Constitution. This harmony and balance between the two is an essential feature of the basic structure of the Constitution. The goals set out by the Directive Principles have to be achieved without the abrogation of the means provided by the Fundamental Rights’. A. They are not enforceable by Law, hence Parliament can’t provide for the imposition of appropriate penalty or punishment for failure to fulfil any of them. B. They help the courts in examining and determining the constitutional validity of a Law. Explanation: Though the rights and duties of the citizens are correlative and inseparable, the original constitution contained only the fundamental rights and not the fundamental duties. In other words, the framers of the Constitution did not feel it necessary to incorporate the fundamental duties of the citizens in the Constitution. However, they incorporated the duties of the State in the Constitution in the form of Directive Principles of State Polity. Later in 1976, the fundamental duties of citizens were added in the Constitution. In 2002, one more Fundamental Duty was added. 48. With reference to the constitutional provisions provided to Council of Ministers by Indian Constitution which of the following is correct? a. The Prime Minister shall be appointed by the President and the other Ministers shall be appointed by the President on the advice of the Prime Minister. b. The total number of ministers, including the Prime Minister, in the Council of Ministers shall not exceed 15% of the total strength of the Lok Sabha. The provision was added by the 91st Amendment Act of 2003.
c. A member of either house of Parliament belonging to any political party who is disqualified on the ground of defection shall also be disqualified to be appointed as a minister. Explanation: The Prime Minister shall be appointed by the President and the other Ministers shall be appointed by the President on the advice of the Prime Minister. The total number of ministers, including the Prime Minister, in the Council of Ministers shall not exceed 15% of the total strength of the Lok Sabha. The provision was added by the 91st Amendment Act of 2003. A member of either house of Parliament belonging to any political party who is disqualified on the ground of defection shall also be disqualified to be appointed as a minister. This provision was also added by the 91st Amendment Act of 2003. 49. Who among the following is a part of Union Executive? Explanation: Articles 52 to 78 in Part V of the Constitution deal with the Union executive. The Union executive consists of the President, the Vice-President, the Prime Minister, the council of ministers and the attorney general of India. Explanation: The President can proclaim a national emergency only after receiving a written recommendation from Cabinet. This means that the emergency can be declared only on the concurrence of the cabinet and not merely on the advice of the prime minister. In 1975, the then Prime Minister, Indira Gandhi advised the president to proclaim emergency without consulting her cabinet. The cabinet was informed of the proclamation after it was made, as a fait accompli. The 44th Amendment Act of 1978 introduced this safeguard to eliminate any possibility of the prime minister alone taking a decision in this regard. 51. Consider the following statements. 1. IRNSS is an Independent regional navigation satellite system being developed by India. 2. IRNSS will provide Standard Positioning Service (SPS) only. 3. IRNSS satellites revolve round the earth at the height of about 18,000 km from the earth's surface. Explanation: IRNSS is an Independent regional navigation satellite system being developed by India. It is designed to provide accurate position information service to users in India as well as the region extending up to 1500 Km from its boundary, which is its primary service area. IRNSS will provide two types of services, namely, Standard Positioning Service (SPS) which is provided to all the users and Restricted Service (RS), which is an encrypted service provided only to the authorized users. The IRNSS System is expected to provide a position accuracy of better than 20 metres in the primary service area. The IRNSS space segment consists of seven satellites, with three satellites in geostationary orbit and four satellites in inclined geosynchronous orbit. Thus, IRNSS satellites revolve round the earth at the height of about 36,000 km from the earth's surface. Applications of IRNSS include land, sea and air navigation, disaster management, vehicle tracking and fleet management, integration with mobile phones, provision of precise time, mapping and navigation aid for hikers and travelers, visual and voice navigation for drivers. It can track people or vehicles and can be of immense use in disaster situations like the recent one in Uttarakhand. Even the Railways may find it useful to track its wagons. Apart from India, its benefits would extend to a range of 1500 km in the region. 1. Its purpose is to measure the changes on earth’s land surface, ice surface, glaciers, earthquakes and volcanoes. 2. The data will be used to understand climate change and predict natural disasters. Explanation: NASA-ISRO Synthetic Aperture Radar (NISAR) mission will be launched in 2020. Its purpose is to measure the changes on earth’s land surface, ice surface, glaciers, earthquakes and volcanoes. The data will be used to understand climate change and predict natural disasters. NISAR will be the first satellite mission to use two different radar frequencies (L-band and S-band). Hence it can capture resolution even less than a centimeter of earth’s surface. 1. It can carry up to 4500 to 5000 kg satellites. 2. It is a 4 stage vehicle. 3. It will use cryogenic engine and not solid and liquid propellants. Explanation: GSLV Mk-3 is the latest version of GSLV. It can carry up to 4500 to 5000 kg satellites. Until now, India relied on EU’s Arianespace launch vehicle to send those INSAT-4 satellites. It will consist of 3 stages. 1st stage will have solid propellant, 2nd stage will have liquid propellant and 3rd stage will be cryogenic engine. GSLV MK-3 will make ISRO a competitive player in commercial launches of foreign satellites. 54. Which of the following is not regarded as the cause of land degradation? Explanation: As explained above, the primary cause of ozone depletion is the presence of chlorine-containing source gases (primarily CFCs and related halocarbons). In the presence of UV light, these gases dissociate, releasing chlorine atoms, which then go on to catalyze ozone destruction. 1. Radioactive compounds, oxides of sulphur and nitrogen are primary pollutants. 2. Peroxyacylnitrate (PAN) and Ozone are secondary pollutants. Explanation: The pollutants emitted from directly from sources and are found in atmosphere as they are emitted are known as primary pollutants. The pollutants that are formed in atmosphere are known as secondary pollutants. 1. The Biological Demand for oxygen is directly proportional to the quantity of discharge of waste in water bodies. 2. Increase in water temperature decreases dissolved oxygen in water which adversely affects aquatic life. Explanation: Aquatic organisms are adopted to a uniform steady temperature of environment and any fluctuation in water temperature severely affects aquatic plants and animals. The biological demand for oxygen (BOD) increases with the increase in aquatic organisms. 57. Which of the following Constitutes Eco-industrial revolution? 3. Strive for higher efficiency of energy and resource use. Explanation: Eco-industrial revolution refers to a new resource and efficient production system generating minimum waste. Networking of different industries in complex resource exchange web where the waste of one industry is used as a raw material by for the other and so on. Explanation: A particularly important characteristic of the low latitude rain forest is the large number of species of trees that coexist. In the equatorial rainforest biome, as many as 3000 species may be found. Explanation: When the feeding relationship in a natural ecosystem becomes complicated, this situation is called Food Web. This complex situation arises when greater numbers of species feed on many kinds of prey. 60. Which of the following are limitations of dam? 1. Reduce river silting below the dam. 2. Increase water pollution on account of reduced water flow. 3. Change physico-chemical quality of water. 1. “Blue Flag” Certification has been launched a pilot project for beach cleanup and development. 2. Under the pilot programme, each of the coastal State/UT was requested to identify/nominate a beach, to be funded through the ongoing Integrated Coastal Management Programme. 3. All the coastal States have nominated the pilot beaches in their receptive territories including Goa. Explanation: The Ministry of Environment and Forest has launched a pilot project for beach cleanup and development With the prime objective of enhancing standards of cleanliness, upkeep and basic amenities at beaches and also striving for the “Blue Flag” Certification for such identified beaches. Under the pilot programme, each of the coastal State/UT was requested to identify/nominate a beach, to be funded through the ongoing Integrated Coastal Management Programme. All the coastal States have nominated the pilot beaches in their receptive territories including Goa. Formal nominations are, however, awaited from the coastal UTs viz., Daman & Diu, Puducherry, Lakshadweep and Andaman & Nicobar. 1. 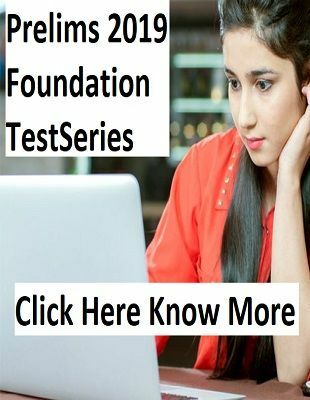 Under the "Information and Communication Technology (ICT) in schools" component of SSA, financial assistance is provided to the State/UT Governments for providing computer-aided learning to the secondary stage students in Government and Government aided secondary and higher secondary schools. 2. The RMSA has provision for development and provision of educational e-content for the schools. 3. Under Sarva Shiksha Abhiyan (SSA), there is a provision of Innovation Fund for Computer Aided Learning (CAL) in Upper Primary Schools with special emphasis on Science and Mathematics. Explanation: The Government is implementing the centrally sponsored scheme of Sarva Shiksha Abhiyan (SSA) and Rashtriya Madhyamik Shiksha Abhiyan (RMSA) in collaboration with the State/UT Governments to improve access and quality of education in the country including rural areas. e-Class is a multiple solution platform enabling development and dissemination of e-contents and has been piloted in Zila Parishad schools of Ratnagiri and Sindhudurg districts. A request was received regarding the allocation of funds for extending the BSNL e-Class service for providing online education in 1000 schools of Ratnagiri and Sindhudurg districts. Under the "Information and Communication Technology (ICT) in schools" component of RMSA, financial assistance is provided to the State/UT Governments for providing computer-aided learning to the secondary stage students in Government and Government aided secondary and higher secondary schools. The scheme has provision for development and provision of educational e-content for the schools. Further, under Sarva Shiksha Abhiyan (SSA) also, there is a provision of Innovation Fund for Computer Aided Learning (CAL) in Upper Primary Schools with special emphasis on Science and Mathematics. 63. Which of the following statement is not true regarding the particulate matter? Explanation: Particulate matter or particle pollution is the general term for a mixture of solid particles and liquid droplets found in the air. There is a wide range of minute particles in the air that can be seen only using an electron microscope. It includes sulphates, nitrates, black carbon, particle-bound water, metals (cadmium, copper, nickel, zinc) and hydrocarbons. In addition, biological components such as allergens (pollen, dust mites) and microbial compounds (fungi) are also PM. 64. In which of the following country world’s first artificial intelligence politician has been developed? Explanation: New Zealand scientists have developed the world’s first artificial intelligence politician that can answer a person’s queries regarding local issues such as policies around housing, education and immigration. The virtual politician, called SAM, was created by Nick Gerritsen, a 49-year-old entrepreneur in New Zealand. The AI politician is constantly learning to respond to people through Facebook Messenger as well as a survey on its homepage. 1. One of the objectives of the project is to increase solar generation capacity through the establishment of large-scale parks in the country. 2. The project will help establish large-scale solar parks and support the government’s plan to install 100 Gigawatts (GW) of solar power out of a total renewable-energy target of 175 GW by 2022. Explanation: Under the Guarantee Agreement for IBRD/CTF loan of USD 98 million and Grant Agreement for USD 2 million for the “Shared Infrastructure for Solar Parks Project” have been signed with World Bank on 20 November 2017. The objective of the project is to increase solar generation capacity through the establishment of large-scale parks in the country. The project will help establish large-scale solar parks and support the government’s plan to install 100 Gigawatts (GW) of solar power out of a total renewable-energy target of 175 GW by 2022. 66. Which of the following Institutions are “The Bretton Woods System”? Explanation: The Bretton Woods Conference held in 1944 set up the International Monetary Fund (IMF) and the World Bank and re-established a system of fixed exchange rates. I. There are multi-dimensional effects of inflation on an economy both at the micro and macro levels. II. Inflation redistributes wealth from creditors to debtors i.e. lenders suffer and borrowers benefit out of inflation. III. Rising inflation indicates rising aggregate demand and indicates comparatively lower supply and higher purchasing capacity among the consumers. Explanation: There are multi-dimensional effects of inflation on an economy both at the micro and macro levels. Inflation redistributes wealth from creditors to debtors i.e. lenders suffer and borrowers benefit out of inflation. The opposite effect takes place when inflation falls (i.e. deflation). Rising inflation indicates rising aggregate demand and indicates comparatively lower supply and higher purchasing capacity among the consumers. Usually, higher inflation suggests the producers to increase their production level as it is generally considered as an indication of higher demand in the economy. Higher inflation indicates higher demand and suggests entrepreneurs to expand their production level and Higher the inflation, lower the cost of loan. I. Globalisation is generally termed as ‘an increase in economic integration among nations’. II. The globalisation lasted from 1800 to almost 1930, interrupted by the Great Depression and the two Wars which led to retrenchment and several trade barriers were erected since early 1930s. III. The concept was popularised by the Organisation of Economic Cooperation and Development (OECD) in the mid-1980s again after the Wars. Explanation: The process of Globalisation has always been used in economic terms though it has always taken the political and cultural dimensions. Once economic changes occur it has several socio political manifestations. Globalisation is generally termed as ‘an increase in economic integration among nations’. Even before several nation-states were not even born, the countries around the world had gone for globalisation i.e. ‘a closer integration of their economies’. This globalisation lasted from 1800 to almost 1930, interrupted by the Great Depression and the two Wars which led to retrenchment and several trade barriers were erected since early 1930s. The concept was popularised by the Organisation of Economic Cooperation and Development (OECD) in the mid-1980s again after the Wars. In its earlier deliberation, the organisation had defined globalisation in a very narrow and business-like sense— ‘any cross-border investment by an OECD company outside its country of origin for its benefit is globalisation’. (b) Sale and purchase of shares of a company by its own promoter. (c) Trading of shares by individuals with potential access to non-public information about the company. Explanation: It is the trading of a public company’s stock or other securities by individuals with access to non-public information about the company. This type of trading is illegal in many countries. 70. Which of the following statements are correct about NITI Aayog? (1) Prime Minister is the Chairman of Aayog. (2) Policy making involves bottom-up approach. (3) It has representations from states. Explanation: NITI Aayog replaced Planning Commission to keep pace with the changing socio-economic environment. 71. Which of the following is/are true about Kaveri River? 1. Its upper catchment receives rainfall during Northeast monsoon and lower catchment receives from southwest monsoon. 2. Majority of Kaveri basin lies in Tamil Nadu. 3. Kabini is important tributary of Kaveri. Explanation: The Kaveri rises in Brahmagiri hills (1,341m) of Kogadu district in Karnataka. Since the upper catchment area receives rainfall during the southwest monsoon season (summer) and the lower part during the northeast monsoon season (winter), the river carries water throughout the year with comparatively less fluctuation than the other Peninsular Rivers. About 3 per cent of the Kaveri basin falls in Kerala, 41 per cent in Karnataka and 56 per cent in Tamil Nadu. It’s important tributaries are the Kabini, the Bhavani and the Amravati. 72. Which of the following is/are important ranges of Eastern Ghats? Explanation: Some of the important ranges of Eastern Ghats are the Javadi hills, the Palconda range, the Nallamala hills, the Mahendragiri hills, etc. The Eastern and the Western Ghats meet each other at the Nilgiri hills. Cardomom hills lie in Western ghats. 73. Through which of the following states tropic of cancer passes? Explanation: Tropic of Cancer passes through Mizoram, Tripura, West Bengal, Jharkhand, Chhattisgarh, Madhya Pradesh, Rajasthan and Gujarat. 74. In the atmosphere much of the oxygen is produced by, which of the following? Explanation: Much of oxygen is produced from the decomposition of water molecules by sunlight during photosynthesis and is released in the atmosphere through transpiration and respiration processes of plants. 75. With reference to Plate boundaries, which of the following is/are true? 1. New crust is generated in convergent boundaries. 2. Convergent boundaries happen only between two continental plates. 3. In divergent boundaries one crust is destroyed by the other. Explanation: Where new crust is generated as the plates pull away from each other in divergent boundaries. Where the crust is destroyed as one plate dived under another in convergent boundaries. There are three ways in which convergence can occur. These are: (i) between an oceanic and continental plate; (ii) between two oceanic plates; and (iii) between two continental plates. 76. Who among the following was associated with the Heraka religious movement? Explanation: Rani Gaidinliu was a Naga political and spiritual leader who had led a revolt against British colonial rule in India. Her political struggle in present Northeast India was based on Gandhian principles of Satyagraha, non-violence, self-reliance. She also had played an important role in India’s wider freedom movement by spreading the message of Gandhi Ji in Manipur region. She was born on 26 January 1915 in Nungkao (a Rongmei village) in the north-eastern state of Manipur. She died on 17 February 1993 in Longkao, Manipur. Freedom struggle: She had participated in the freedom struggle at a very young age of 13 after she came under the influence Heraka religious movement. Heraka religious movement: This movement which was launched by her cousin Haipou Jadonang initially to reform the Zealiangrong Naga communities. 1. Under this system, some subjects, such as finance and law and order, were called „reserved‟ subjects and remained under the direct control of the Governor. 2. The Governor remained with partial control over the finances after Montagu-Chelmsford Reforms. 3. The Governor could, moreover, overrule the ministers on any grounds that he considered special. Explanation: Under this system some subjects, such as finance and law and order, were called „reserved‟ subjects and remained under the direct control of the Governor; others such as education, public health, and local self-government, were called „transferred‟ subjects and were to be controlled by ministers responsible to the legislatures. This also meant that while some of the spending departments were transferred, the Governor retained complete control over the finances. The Governor could, moreover, overrule the ministers on any grounds that he considered special. At the centre, there were to be two houses of legislature, the lower house, the Legislative Assembly, were to have 41 nominated members in a total strength of 144. The upper house, the Council of State, was to have 26 nominated and 34 elected members. The legislature had virtually no control over the Governor-General and his Executive Council. On the other hand, the Central Government had unrestricted control over the provincial governments. Moreover the right to vote was severely restricted. In 1920, the total number of voters was 909,874 for the lower house and 17,364 for the upper house. Explanation: It is available against Government, Inferior courts, Administrative tribunals, Person in charge of public duty and officers. 79. Which of the following is not true regarding fundamental rights? a. Fundamental rights are borrowed from American constitution by constituent assembly of India. b. They are essential for political progress. c. Right to life is individual rights. Explanation: They are essential for human development, democracy and social progress. Equality before law, freedom of speech and expression, freedom of association and peaceful assembly, freedom to practice religion and right to constitutional remedies are group rights. 80. Which of the following is true about preamble? 1. It is not enforceable by courts. 2. It is part of constitution. 3. Preamble enshrines narrow objectives of governments. Explanation: Preamble contains essence of constitution. In Kesavanda Bharati case 1973 Supreme court ruled that preamble is part of constitution and not enforceable. It is basic features of constitution. 1) Cut Motions can be moved in both the houses. 2) Token Cut means “demand to be reduced by a Rs 100”. 3) Economy Cut means “demand to be reduced by a specific amount”. Explanation: Cut motions can be moved in Lok Sabha only. Cut motions are introduced to reduce any demand for grant. Explanation: The large human population issue is one of the most important issues of the environment. The human populations pose danger to the environment through two main factors: (1) the number of people and (2) the impact of each person on the environment. 84. With reference to functions of forest, which of the following are regulative nature? Explanation: Forests also effectively regulate floods and drought and all the biogeochemical Cycles like absorption, storage and release of gases (most importantly carbon dioxide and oxygen), water, minerals, elements and radiant energy. 86. The Indian government has started conservation projects of which of the following species? Explanation: An amendment to the Wild Life Act (Protection) Act 1972 was done in 1982 which introduced a provision permitting the capture and transportation of wild animals for the scientific management of the animal population. India is a signatory to the Convention on International Trade in Endangered Species of Fauna and Flora (CITES 1976). Under this convention, export or import of endangered species and their products are governed by the conditions and stipulations laid down therein. The Indian government has also started some conservation projects for individual endangered species like Hungal (1970), Lion (1972), Tiger (1973), Crocodiles (1974), Brown-antlered Deer (1981) and Elephant (1991-92). 87. Which of the following premier institutes in India has developed a novel drug-delivery system that releases a commonly used pain killer (diclofenac sodium) at the target site in a controlled fashion? Explanation: Researchers at the Indian Institute of Technology (IIT) Hyderabad have developed a novel drug-delivery system that releases a commonly used pain killer (diclofenac sodium) at the target site in a controlled fashion such that there is a constant release of the drug for as long as 12 hours. The drug has a low half-life of one-two hours and so constant release for up to 12 hours becomes particularly significant. In normal circumstances, the drug gets metabolised very quickly, thereby requiring frequent dosing to maintain the desired therapeutic levels. The fluctuation of the drug plasma level is one reason why the medicine cases adverse effects. 88. Which statement best describes the objective of the Coal India’s New App “Grahak Sadak Koyla Vitaran App”? a. This app is a step towards transparency in the system of loading programme and despatch. b. The app also helps in logistics planning for the lifting of coal in tune with the loading programmes. c. The app provides date-wise, truck-wise quantity of coal delivered against the Sale Orders. Explanation: Ministry of Railways & Coal has launched ‘Grahak Sadak Koyla Vitaran App’ benefitting customers of Coal India Limited (CIL) lifting coal through road mode. This app helps achieve transparency in despatch operations, as a tool to monitor, whether the despatches are made on the fair principle of ‘First in First Out’ and keeps track of all the activities from the issuance of Sale Order to physical delivery of coal by road. The main benefits of the App for the customers, against the Sale Orders issued, include easy aaccessibility of the information at the click of the button, apart from transparency in the system of loading programme and despatch. The app also helps in logistics planning for the lifting of coal in tune with the loading programmes. It further helps in the improved planning of procurement, production and stock management by the customers. The main features of the app are that it provides date-wise, truck-wise quantity of coal delivered against the Sale Orders and information related to Scheme-wise, Colliery-wise, Grade-wise, customer-wise details of Sale Orders issued during a period. 1. No person shall display to the public any election matter by means of cinematograph, television or other similar apparatus in any polling area during the period of forty-eight hours ending with the hour fixed for the conclusion of the poll for any election in the polling area. 2. Any person who contravenes the provisions of sub-section (1) shall be punishable with imprisonment for a term which may extend to two years, or with fine, or with both. (1) No person shall display to the public any election matter by means of cinematograph, television or other similar apparatus in any polling area during the period of forty-eight hours ending with the hour fixed for the conclusion of the poll for any election in the polling area. (3) In this Section, the expression “election matter” means any matter intended or calculated to influence or affect the result of an election. 90. India’s first Ro-Ro ferry service was launched in Gujarat recently. What is meant by the RO-RO? Explanation: Prime Minister Narendra Modi flagged off the “roll on, roll-off” (ro-ro) ferry service in Gujarat on Sunday during his third visit to the poll-bound state this month. Roll-on, roll-off ferry service allows vehicles like trucks, buses, cars etc to roll drive onto the ferry doing away with the need to crane-lift vehicles on the ferry. Along with this, the shorter travel distance cuts down travel time and also improves ease of travel. The Ghogha-Dahej link cut down the over 310 km distance between the two areas connected by land to just over 30 km connected by ports. The ro-ro ferry’s first phase was flagged off by PM Modi on 22 October 2017 at an event in Ghogha. 91. India jumps 30 spots to 100 in ease of doing the business ranking for 2018. Which of the following international organisations has released the report on the ease of doing business? Explanation: India’s ranking in the World Bank ease of doing a business survey for 2018 climbed a record 30 notches to 100 as a range of regulatory and policy reforms put in place by the Union and state governments over the past four years started delivering results. Significantly, this year’s report from the World Bank has been titled Reforming to Create Jobs. Not only does the jump in doing business rankings burnish the reformist credentials of the Prime Minister Narendra Modi-led National Democratic Alliance (NDA), which has undertaken tax reforms, reducing government oversight by stepping up disintermediation and anti-corruption policies, it also signals that change in the economic narrative is gaining momentum. 92. Recently, an initiative SAATHI has been started by the Government of India related with which of the following? Ministries of Power and Textiles have joined hands under a new initiative SAATHI (Sustainable and Accelerated Adoption of efficient Textile technologies to Help small Industries). Under this initiative, Energy Efficiency Services Limited (EESL), a public sector entity under the administrative control of Ministry of Power, would procure energy efficient Powerlooms, motors and Rapier kits in bulk and provide them to the small and medium Powerloom units at no upfront cost. The SAATHI initiative of the Government will be jointly implemented by EESL and the office of the Textile Commissioner on a pan-India basis. To kick-start the implementation, cluster-wise demonstration projects and workshops will be organized in key clusters such as Erode, Surat, Ichalkaranji, etc. 93. Which of the following types of inflation is ‘large and accelerating’? Explanation: Hyperinflation is ‘large and accelerating’ which might have the annual rates in million or even trillion. In such inflation not only range of increase is very large but the increase takes place in a very short span of time, prices shoot up overnight. Creeping inflation is slow and on predictable11 lines which might be called small or gradual. This is a comparative term which puts it opposite to the faster, bigger and unpredictable inflations. Low inflation takes place in a longer period and the range of increase is usually in ‘single digit’. We may take an example of the monthly inflation rate of a country for six months being 2.3%, 2.6%, 2.7%, 2.9%, 3.1% and 3.4%. Here the range of change is of 1.1% and over a period of six months. 1. The RoboBee is 1,000 times lighter than any previous aerial-to-aquatic robot and could be used for numerous applications. 2. This is the first micro-robot capable of repeatedly moving in and through complex environments. 3. It can be used for search-and-rescue operations, environmental monitoring and biological studies. Explanation: Harvard scientists have developed a next-generation hybrid version of RoboBee that can fly, dive into water, swim, propel itself back out of the water, and land safely. The RoboBee is 1,000 times lighter than any previous aerial-to-aquatic robot, and could be used for numerous applications, from search-and-rescue operations to environmental monitoring and biological studies, researchers said. “This is the first micro-robot capable of repeatedly moving in and through complex environments,” said Yufeng Chen, a former graduate student at the Harvard John A Paulson School of Engineering and Applied Sciences. 95. With reference to metamorphism, which of the following is/are true? 3. When the underlying rocks are subjected to great amounts of pressure by overlying rocks. Explanation: Metamorphism is a process by which already consolidated rocks undergo recrystallisation and reorganisation of materials within original rocks. 1. All North Eastern states share boundary with foreign countries. 2. Arunachal Pradesh is the only state which shares boundary with 3 countries. Explanation: First statement is true. Arunachal Pradesh shares borders with Nepal, China and Myanmar. 97. Which of the following is/are very high landslide vulnerable zones in India? Explanation: Areas that receive less precipitation such as Trans- Himalayan areas of Ladakh and Spiti (Himachal Pradesh), undulated yet stable relief and low precipitation areas in the Aravali, rain shadow areas in the Western and Eastern Ghats and Deccan plateau also experience occasional landslides. Highly unstable, relatively young mountainous areas in the Himalayas and Andaman and Nicobar, high rainfall regions with steep slopes in the Western Ghats and Nilgiris, the north-eastern regions, along with areas that experience frequent ground-shaking due to earthquakes, etc. 98. Which of the following is/are not Biological weathering? Explanation: Biological weathering are borrowing and wedging by organisms, ploughing and cultivating soils, Decaying plant and animal matter help in production of humie, carbonic and other acids which enhance decay and solubility of elements causing weathering. 1. Biomes and biodiversity depend upon the depth of weathering. 2. Weathering influences enrichment of certain valuable ores. Explanation: Biomes and biodiversity is basically a result of forests and forests depend upon the depth of weathering mantles. Weathering of rocks and deposits helps in enrichment and concentrations of certain valuable ores of iron, manganese, aluminium, copper etc. 100. Which of the following primary mosquito that spreads the Zika virus? Explanation: The primary mosquito that the spreads Zika virus — Aedes aegypti — might also simultaneously transmit chikungunya and dengue viruses with a single bite, says a study that sheds new light on co-infection. “A mosquito, in theory, could give you multiple viruses at once,” said Claudia Ruckert, post-doctoral researcher at Colorado State University in the U.S. In the study, published in the journal Nature Communications, the team infected mosquitoes in the lab with multiple kinds of viruses to learn more about the transmission of more than one infection from a single mosquito bite. 120 Days remaining for Prelims 2019.Start attempting mocks to get ahead and secure your name in the qualified list.